But apparently, the lawmakers didn’t post all the seized documents because on Friday, more internal emails started trickling out. 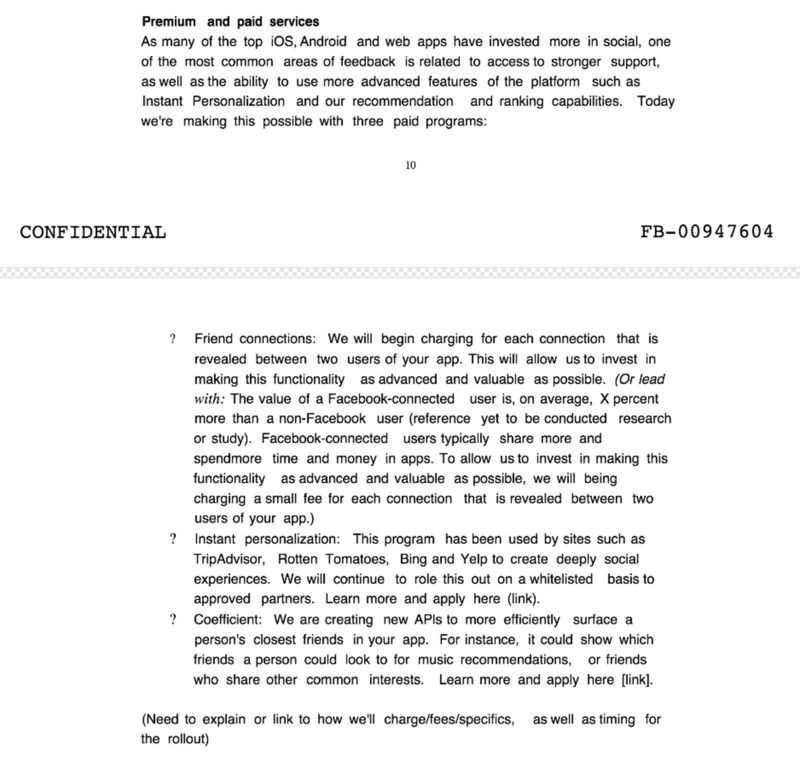 Nearly 100 new pages, first reported by Computer Weekly, include court filings and internal discussions by Facebook employees, including CEO Mark Zuckerberg, about how to charge developers for access to Facebook users’ data, how to make more money off gaming apps, special access to Facebook data for whitelisted partners, and an emergency breach of some kind that appeared to involve Zuckerberg’s Facebook account. 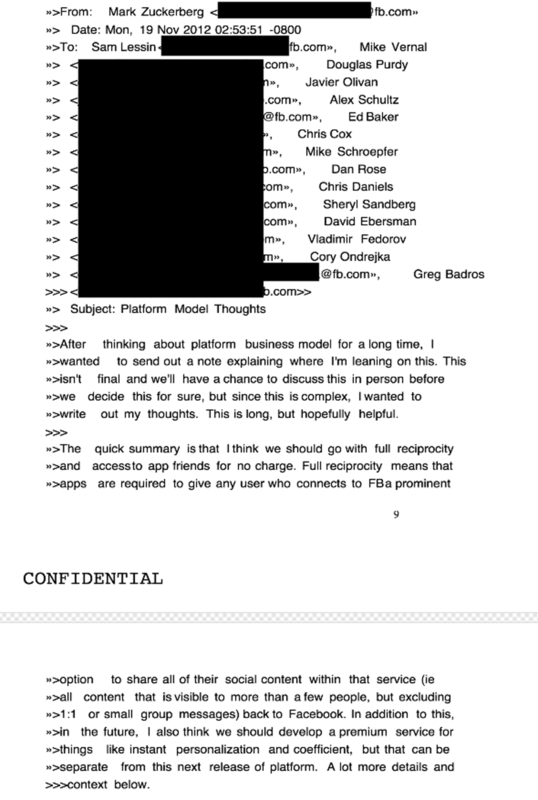 While it’s previously been reported that Facebook considered selling user data, these emails reveal exactly what they wanted to charge for: instant personalisation, showing who was friends with who, and “coefficient” – Facebook’s term for rating which of your friends you care about the most. The most interesting thing about these new documents is how they became public. This time, the documents appeared on a Github page operated by “Buxton the Red,” a.k.a. Matt Fowler, a programmer based in England. The new documents were publicised on Twitter Friday by an investigative journalist named Duncan Campbell, who said they are part of “1.5 million pages” that Facebook had to produce as part of the lawsuit against it. It’s unclear how Fowler got these documents. 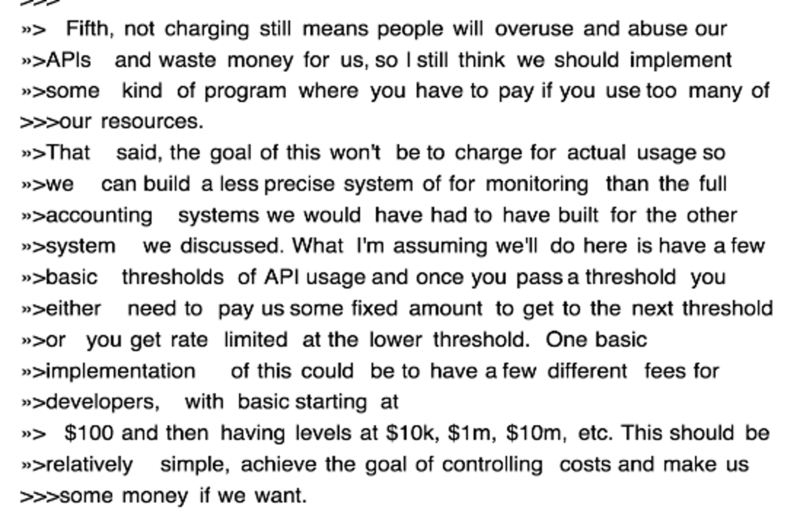 Reached via a Reddit account listed on the Github page, Fowler confirmed the new documents are “part of the material seized by the UK Parliament officials in November 2018.” In response to the Reddit message, journalist Campbell emailed me, cc’ing Fowler, and said the recent documents – “the new ones yesterday and others which may come” – are leaks. While it may ‘shock the conscience,’ it certainly titillates Facebook watchers for whom the company’s machinations are often a mystery.